Looking After Our Communities – Should Businesses Do More? We’re constantly being informed that SMEs are the backbone of the UK economy, with the Governments own figures indicating that 5.7 million businesses (that’s 99% of all UK businesses) fall into the bracket of SME. All these businesses up and down the UK are located either within a community or rely on the resources of a community, specifically its people. With SMEs in the UK relying on their workforce, is there a place within business strategy for a community outreach programme? If we as businesses take better care of our people, and the communities in which we either serve or service, is there a benefit? For example, if a company is active within a community engaging in a positive way, reflecting the concerns and aspirations of local people, it could be argued that both community and company will benefit. If a company is seen to be involved, caring and supporting community initiatives or projects a positive impression of that company can be developed. Employees who are invested in and believe in a company are more productive and more likely to stay and grow. A Harvard Business Report from 2015 points to the evidence that a positive work force is a productive one, their number one tip being to ‘Foster social connections’ - https://hbr.org/2015/12/proof-that-positive-work-cultures-are-more-productive. Businesses are, in effect, communities of their own – we all spend more time in the company of the people with whom we work than with our own families. With this in mind Fakro have been involved in community projects throughout 2018, with more planned, encouraging its people to take an active role. With their head office located in Swadlincote, South Derbyshire, the roof window manufacturers work-force is largely, but not completely, derived from the local community. It makes sense, therefore, to care about the things that the people who work for Fakro care about. In February, Fakro entered Swadlincote's annual Pancake Day Race, a charity event involving many local companies. Also, throughout the year Fakro is supporting St Giles Hospice, a wonderful organisation who provide support for people and families with either end of life care or during a health crisis. An issue which has touched many within the Fakro organisation personally. But also, more recently, Fakro was asked to get involved directly in the Swadlincote community, helping out not with a charitable donation but with time, often the most difficult of resources to commit for a growing business. 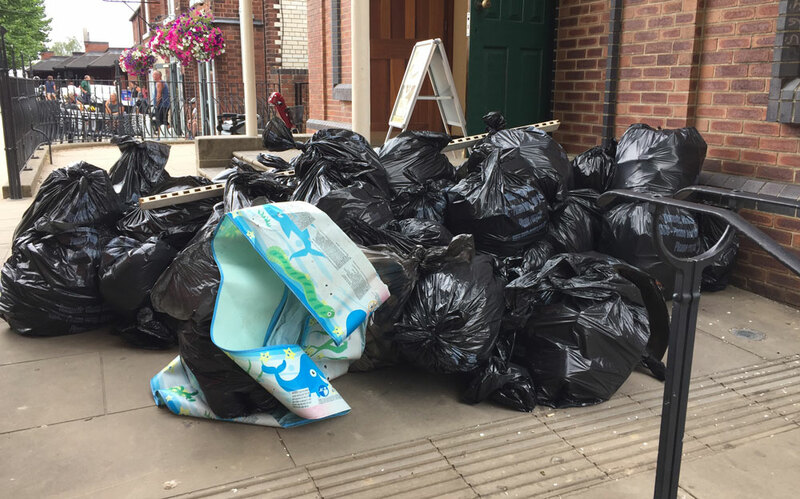 South Derbyshire County Council put out the call for help with their ‘Swadlincote Heroes Tidy Up’ initiative, a simple but effective idea where a small number of volunteers from local companies and organisations are brought together in a ‘big litter pic blitz’. And what a success it was! 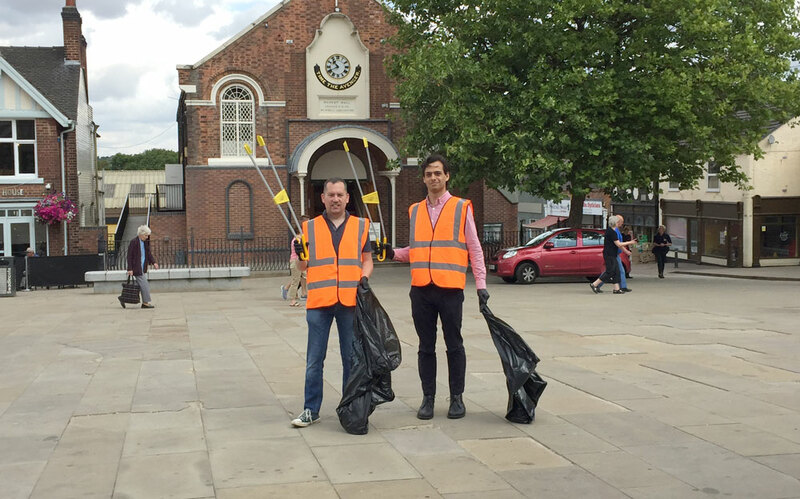 Over a two-hour period 40 or so volunteers from local business such as Fakro, McDonalds, local shops and schools collected over 50 sacks of litter, making an obvious impact on the appearance of the town centre, restoring some pride for the local community. This is just one of such initiatives from South Derbyshire County Council, and Fakro intends to be involved again, encouraging employees to look beyond the office or warehouse wall and engage with the community in which we rely. In return Fakro may see improved productivity and higher levels of employee retention, just for doing the right thing. For more information on Fakro, and their activities both in the community and for their merchant partners nationwide you can follow them on social media.